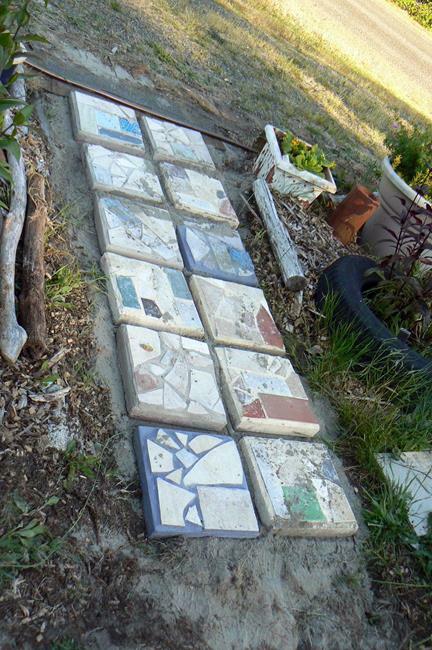 I made many trips to tile stores to get their free demo samples that were discontinued. These are very thick tiles, some porcelain. many in beautiful colors and textures. I am making 120 of these for the garden walkways and so far June 2016 have produced about only 25. A very hard but rewarding experience.